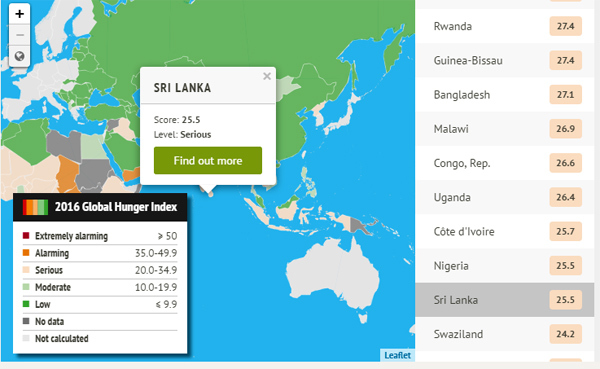 Sri Lanka ranked 87th among developing countries in the Global Hunger index indicating the country had some levels of poverty and malnutrition to combat. 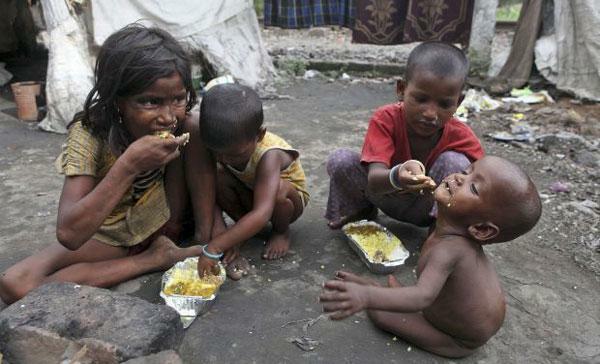 The Index which took into account 118 developing countries, ranked three of Sri Lanka’s neighbours in lower ranks. Among the South Asian countries India ranked 97 with Afghanistan and Pakistan bringing in the rear. Of the 131 countries studied, data was available for 118 countries. This year, for the first time, two measures of child hunger -wasting and stunting -have been used to give a more complete picture. Wasting refers to low weight in relation to a child's height, reflecting acute under nutrition. Stunting refers to the deficiency in height in relation to age, reflecting chronic under nutrition. 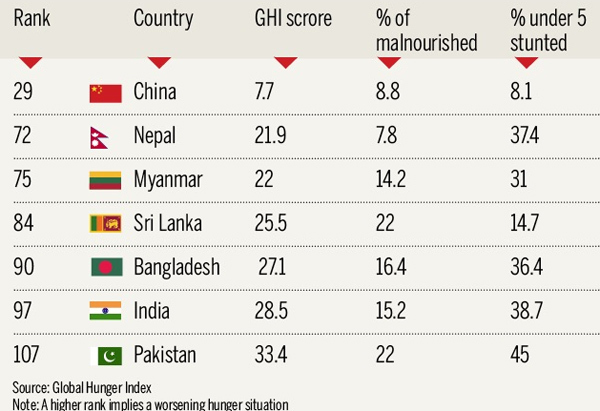 Overall, global hunger levels are down by about 29% compared to 2000.Twenty countries, including Rwanda, Cambodia, and Myanmar, have reduced their GHI scores by over 50% each since 2000. And, for the second year in a row, no developing country for which data was available featured in the "extremely alarming" category.